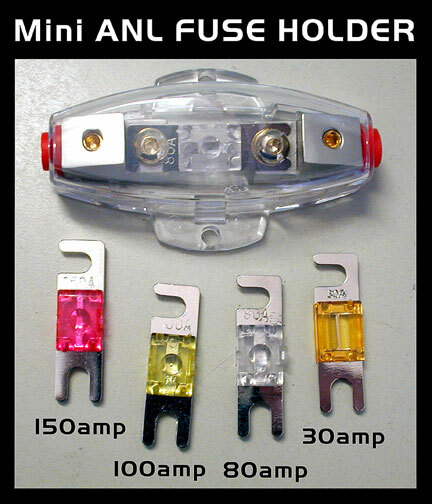 Mini ANL Fuse Holder Comes with 1 fuse installed and one extra. Fits #4awg guage wire to #10awg, resistant to corrosion. Durable injection molded and heat resistant. Choose from 30 amp fuse, 80, 100 or 150 amp fuses. Comes with 2 fuses, i installed and one extra in the same map size.